Miles Mykkanen | The Chamber Music Society of Lincoln Center. Miles Mykkanen has garnered recognition on the world's concert and operatic stages for his “focused, full-voiced tenor” (New York Times). The 2018-19 season sees the Michigan native making debuts at Minnesota Opera in the Pulitzer Prize-winning opera Silent Night, at Opera Philadelphia in A Midsummer Night’s Dream, and with Franz Welser-Möst and The Cleveland Orchestra in fully staged performances of Ariadne auf Naxos. The tenor joins the Bayerische Staatsoper for Gluck’s Alceste and, on the concert stage, Messiah brings him to the Atlanta Symphony Orchestra, the National Symphony Orchestra at The Kennedy Center, and to the University of Michigan. Highlights of the recent past include Bernstein’s Candide at Arizona Opera, Palm Beach Opera, and at Tanglewood with The Knights, a New York Philharmonic debut in excerpts from West Side Story led by Leonard Slatkin, and numerous performances at the Marlboro Music Festival in collaboration with Mitsuko Uchida, Malcolm Martineau, and Roger Vignoles among many others. 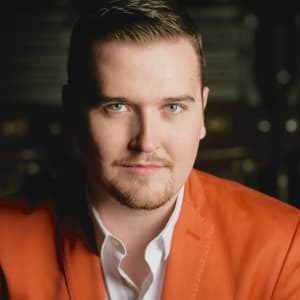 Recently graduated from The Juilliard School with an artist diploma in opera studies, Mr. Mykkanen earned his bachelor’s and master’s degrees from the school under the tutelage of Cynthia Hoffmann.